Boy Scouts of America LOVE white water rafting! The weekends in May brought a lot of rafters to Ohiopyle, PA. And out of all those rafters were lots of Boy Scouts of America troops from the surrounding tri-state area. There were some with prior rafting experience but there were also some first-timers. We took some time to sit down with them and find out how their trips went. Boy Scouts love rafting on the Yough River in Ohiopyle. Do you know of a scout troop looking for a fun outing? Be sure to consider rafting for your next activity! 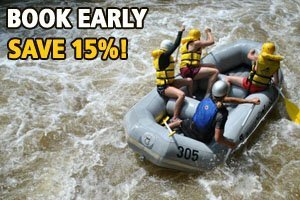 Scout groups are eligible for a 20% discount off any rafting tour. Call one of our adventure specialist NOW to book your tour! Please mention code BBS.